The recently published Norton Anthology of World Religions includes one Chinese tradition in its six “major, living, international religions,” Daoism. 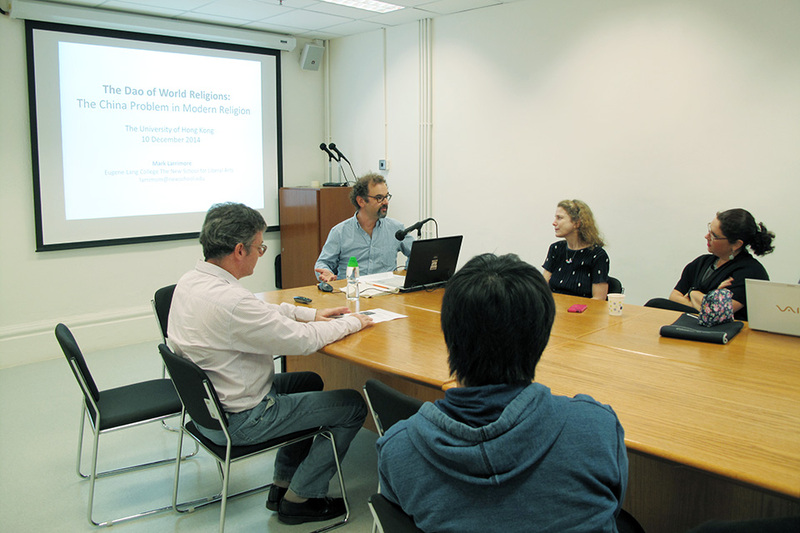 This talk will use this development as an occasion to look back on the construction of “world religions” in western scholarship and culture, and China’s role as challenge and irritant in this history. 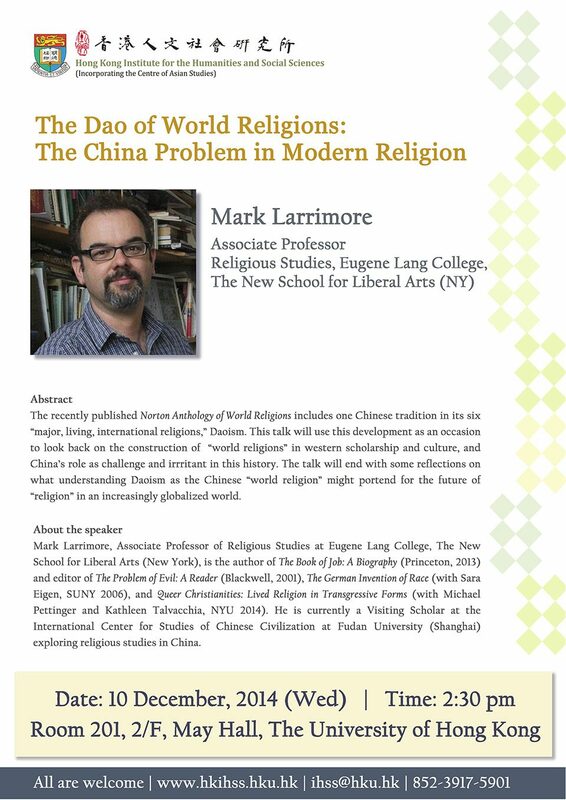 The talk will end with some reflections on what understanding Daoism as the Chinese “world religion” might portend for the future of “religion” in an increasingly globalized world. Mark Larrimore, Associate Professor of Religious Studies at Eugene Lang College, The New School for Liberal Arts (New York), is the author of The Book of Job: A Biography (Princeton, 2013) and editor of The Problem of Evil: A Reader (Blackwell, 2001), The German Invention of Race (with Sara Eigen, SUNY 2006), and Queer Christianities: Lived Religion in Transgressive Forms (with Michael Pettinger and Kathleen Talvacchia, NYU 2014). 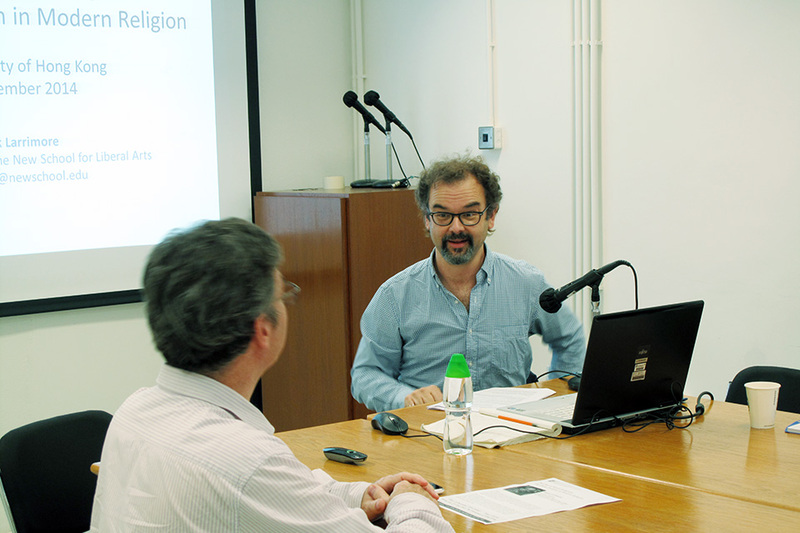 He is currently a Visiting Scholar at the International Center for Studies of Chinese Civilization at Fudan University (Shanghai) exploring religious studies in China.